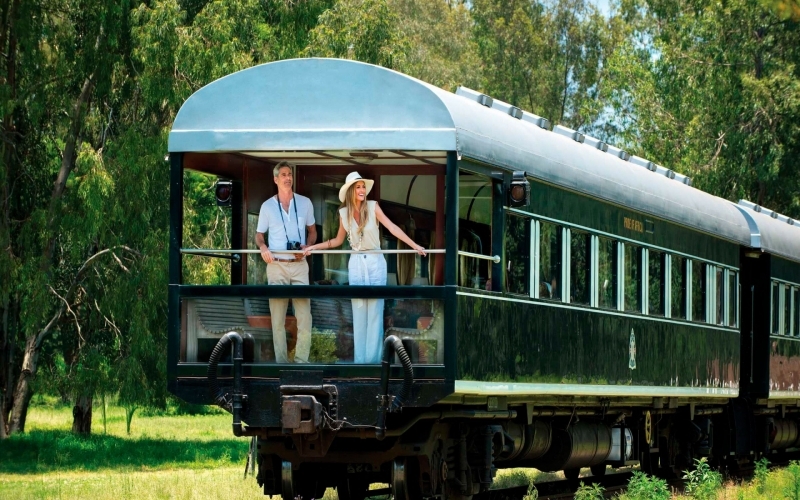 If you’re considering a trip to southern Africa to explore the countryside, the only way to do it in style and absolute comfort is a train trip with Rovos Rail. 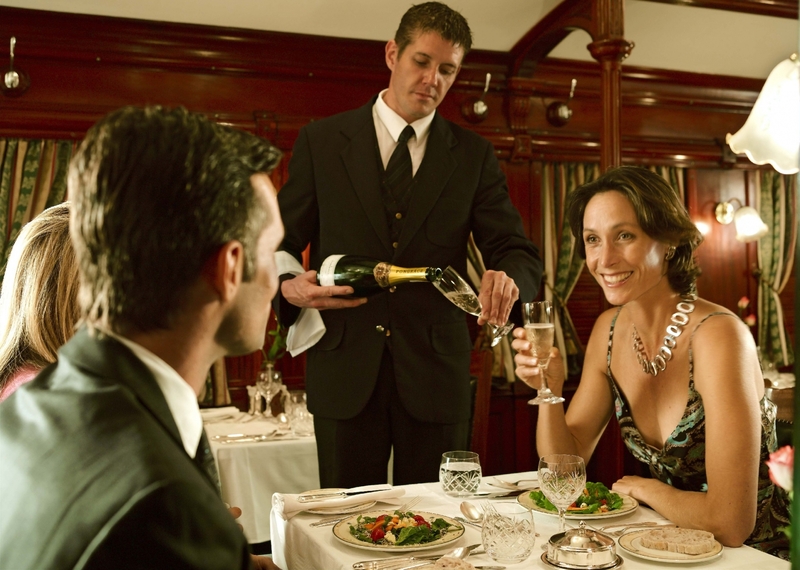 Harkening back to the golden age of train travel, Rovos Rail has considered your every comfort and provides only the best amenities, including an opulent viewing car, luxurious private sleeping cars, and dining cars that serve divine meals. 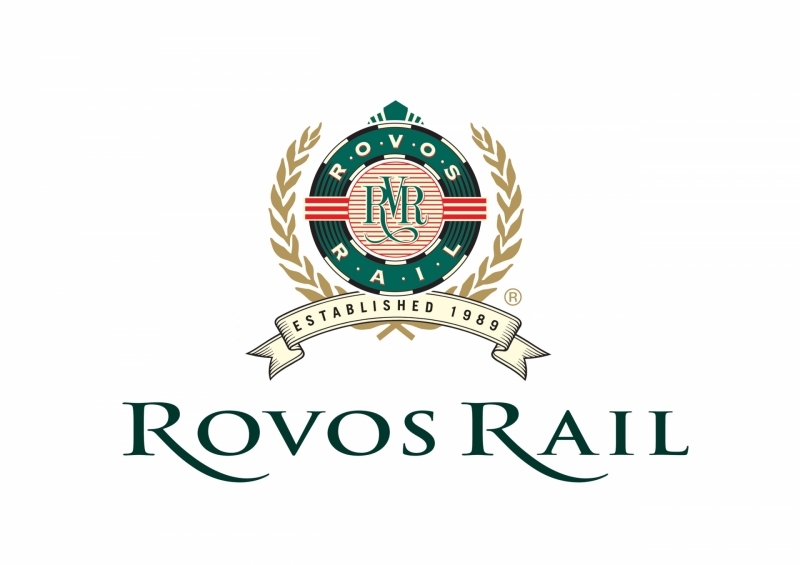 Whether you’re looking for a short, two-day journey or a month-long trip, Rovos Rail has options for you. 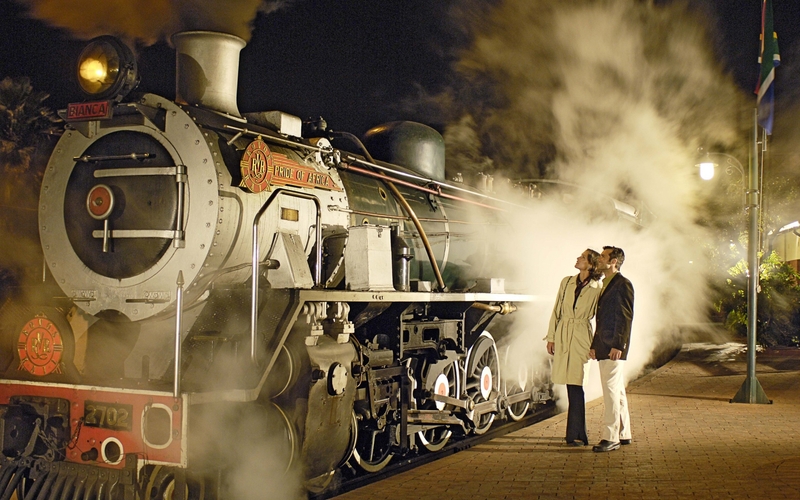 Rovos Rail trains offer all the same amenities as a 5-star hotel, but with an ever-changing, spectacular view outside your window. Consider the Royal Suite, which features a private bathroom and plenty of space. 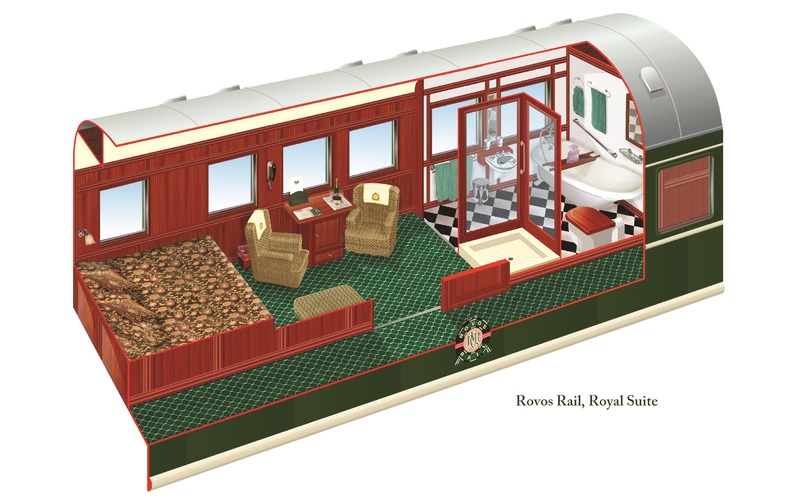 Each Royal Suite takes up half a rail car or approximately 52 square feet. You’ll find air conditioning, a lounge area, safe, luggage storage, hot shower and a double bed in your private room. 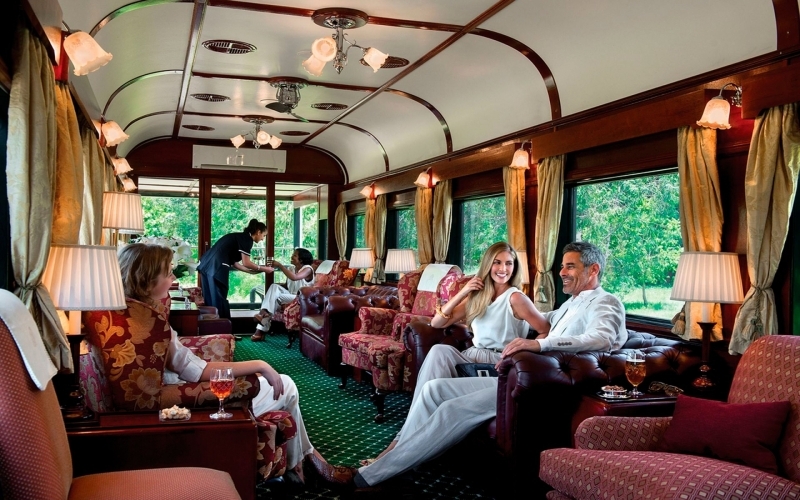 Each room on Rovos Rail features a mini bar stocked with drinks of your choice and 24-hour room service. You never have to leave the privacy and quiet of your room. 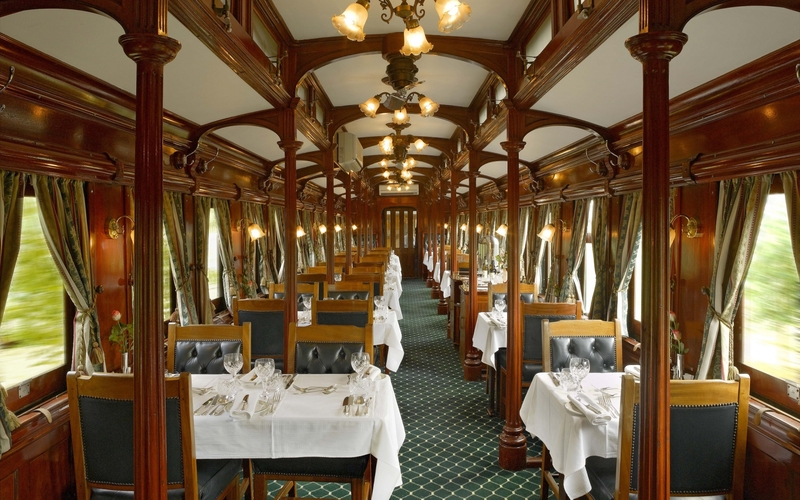 If you choose to leave your room, the sumptuous dining car awaits you for meals. The food is chef-prepared using local ingredients with a spin on traditional dishes. You can enjoy your meal accompanied by local, South African wines. 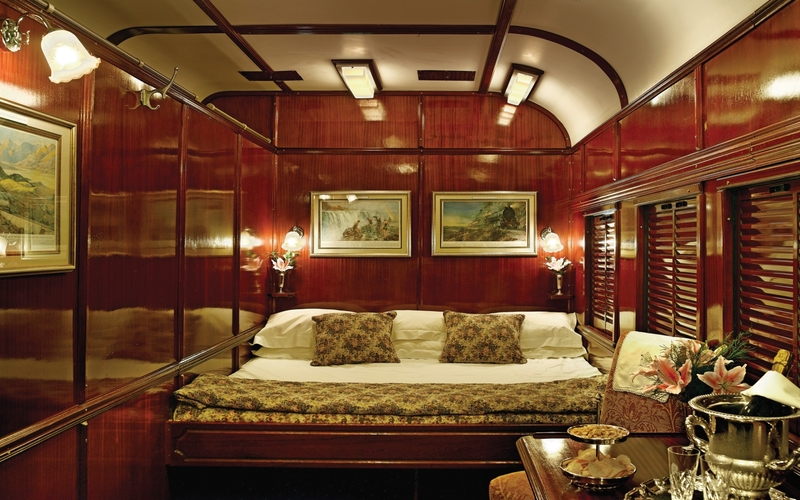 Each train car is wood paneled and luxuriously decorated in Edwardian-style furnishings. An epic, 15-day journey will present you with a changing landscape outside the many windows throughout the train. 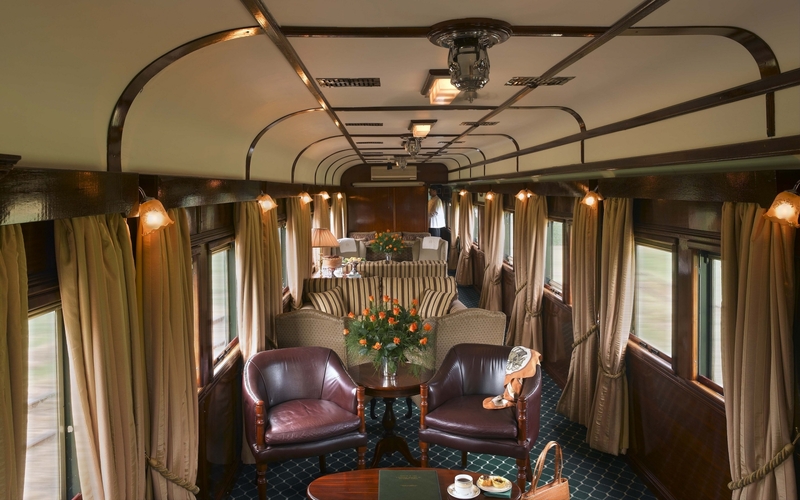 Whether you’re lounging in your private room, eating in the dining car or relaxing in the lounge car, you’re sure to see beautiful wilderness on your journey on The Pride of Africa from Cape Town, South Africa to Dar es Salaam, Tanzania. 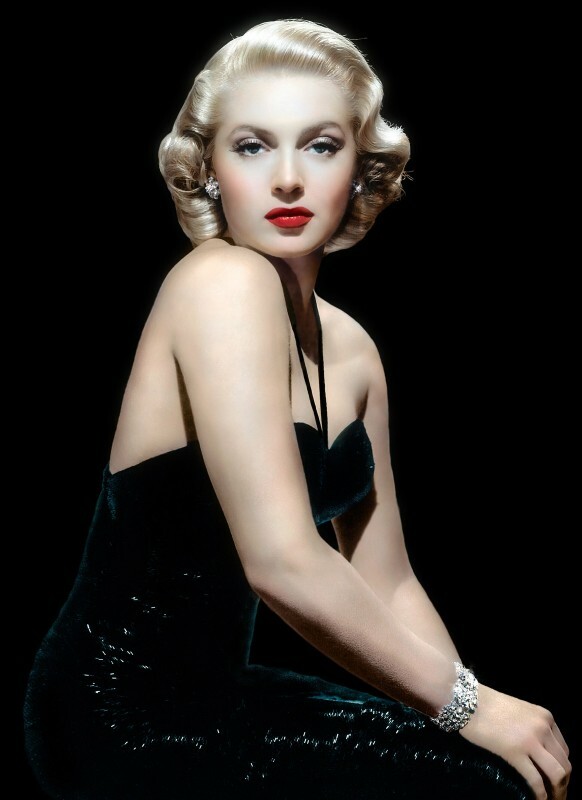 Your train will include two lounge cars, which have been converted with the sole purpose of making guests comfortable. Filled with deep couches and wingback chairs, it’s not surprising to see guests nodding off for an afternoon catnap to the sway of the train. A characteristic that is unique to the Rovos Rail is that the windows in the lounge car open. Though there is air conditioning, many passengers also enjoy getting to experience the sounds and smells of Africa as they journey through the countryside. Your 15-day journey from Cape Town, South Africa to Dar es Salaam, Tanzania will be one of the most unforgettable experiences of your life. 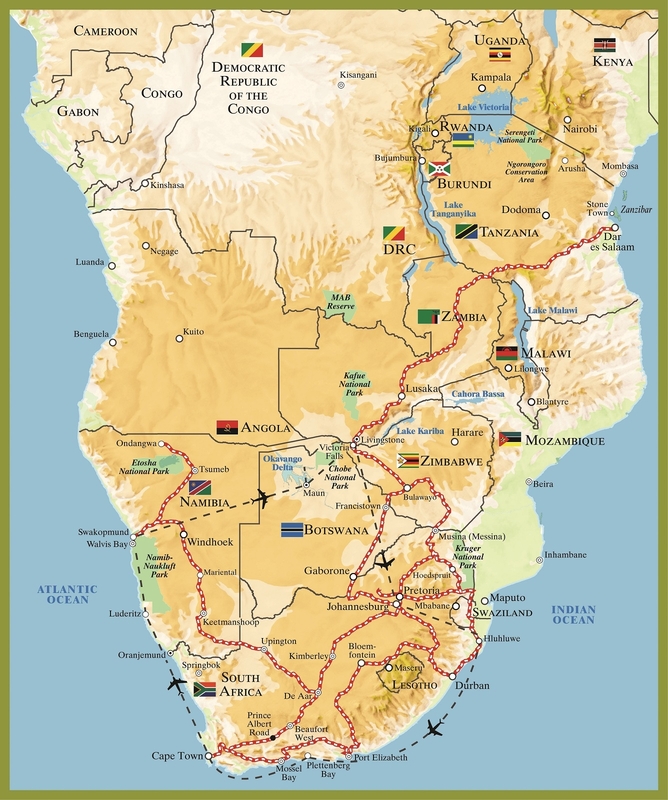 You’ll be amazed by the diversity of landscape as you ride through South Africa, Botswana, Zimbabwe, Zambia, and Tanzania. As you travel in complete luxury, drinking local wines and enjoying delicious, traditional meals, you’ll enjoy your journey through the heart of Africa.